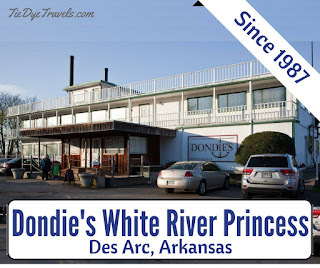 Dondie's White River Princess: Hang On To What You Got. The whitewashed riverboat alongside the White River in Des Arc has never set to the river beside it; it's not seaworthy and was never meant to float. Yet the idea of this place has floated a dream -- and a lesson -- if you have something good, keep ahold of it. 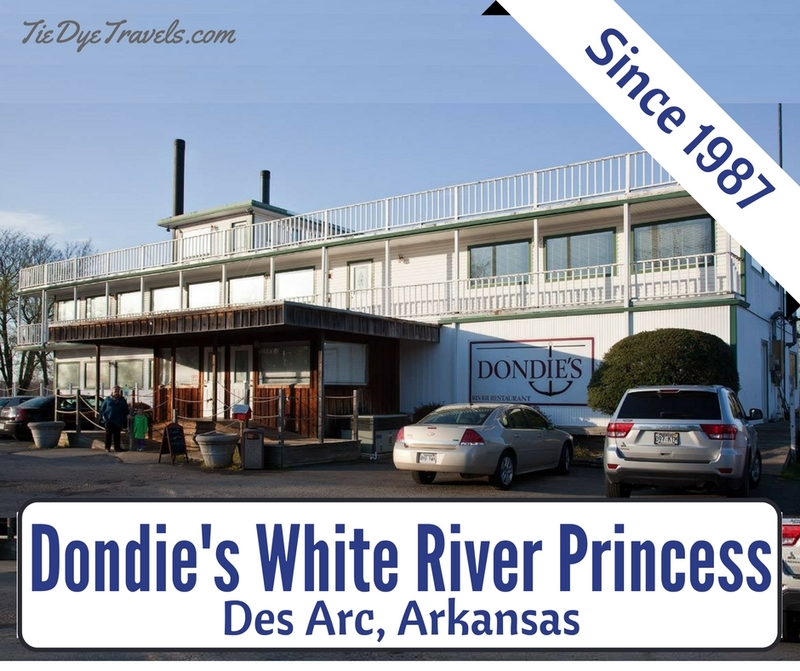 Dondie's White River Princess opened in the late 1980s, a catfish buffet concept restaurant created by Dondie Guess, a local entrepreneur with a big idea. Idea seemed sound enough -- sell catfish from a fancy boat right next to a river known for its catfish. However, Dondie had some big dreams, and they involved a place that got a heck of a lot more traffic than little Des Arc could manage. Dondie wanted to try his luck in Branson. So he offered his establishment for sale to Mike Skarda. Now, Mike wasn't a restauranteur but he loved to grill, so he decided to give this a go. That was back in 1990, maybe 1991. Mike took over and ran that buffet for a while, but he saw a need to expand the menu options and added one item after another -- steaks, specialty seafood dishes, appetizers and pasta. 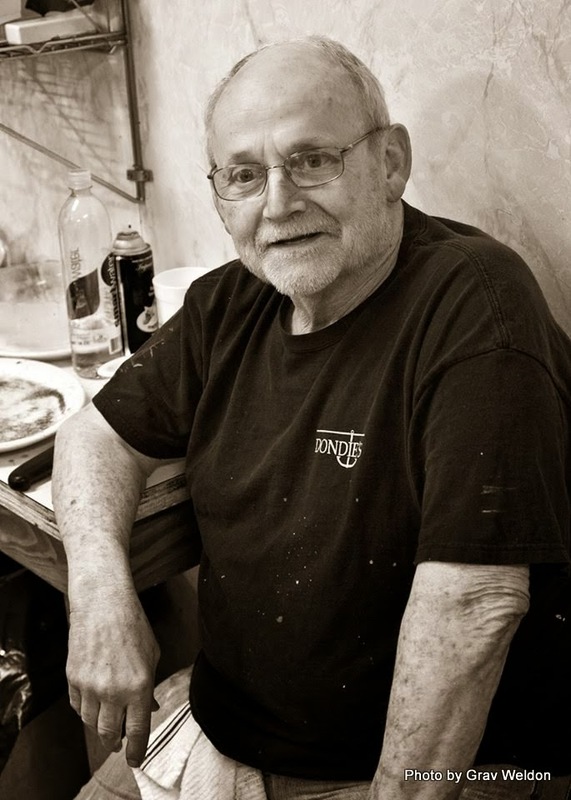 He still kept the buffet going, though, selling catfish and frog legs, shrimp and mudbugs to a standard crowd every Thursday, Friday and Saturday night (and the first Sunday lunchtime of the month). But what happened to Dondie? Bless his heart, he headed to Branson, built a new boat right on the Highway 76 Strip, and it quickly sank -- not the boat, mind you, but the restaurant housed within. Discouraged, he reportedly sold the landboat to another owner and headed back to Des Arc, where he hoped to buy the White River Princess back. Nothing doing. Mike told Dondie "I'll sell you my farm, but I won't sell you the boat." 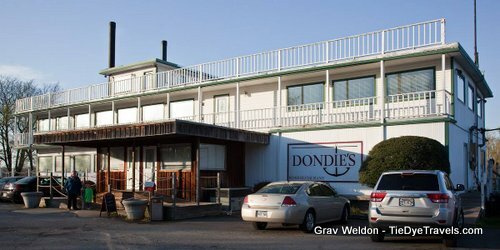 I wouldn't worry too much about Dondie -- he now owns Car City and does pretty well for himself. And I wouldn't worry about Dondie's White River Princess, either. See, the business really can float -- even if it does so a couple dozen meters off the White River. We made our most recent visit on a Thursday night, heading out from Little Rock for a destination an hour away. 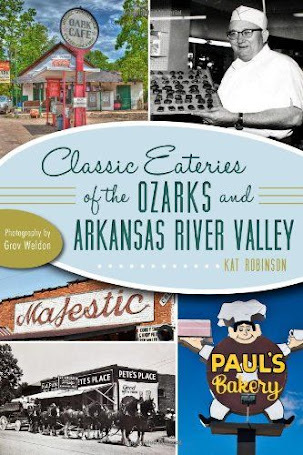 The heady scent of seasoning and smoke brought us through the doors and we quickly found ourselves seated in a dining room with a view of the beautiful White River arch bridge. There were noises overhead as well as around us -- the landboat has more than one service floor, all decked out in wooden tables on wooden floors with the sweetest waitresses you can imagine. Hunter this trip had spied the buffet on arrival and begged a shot at it -- and there she found not only fried catfish fillets and steaks but hush puppies, corn nuggets, apple sticks, smoked ribs, chicken strips, fried shrimp, peel-and-eat shrimp and spicy boiled crawfish. For a five year old Arkansaw girl, this was heaven, and she got herself extra helpings of these and beans, coleslaw, tomato chunks and pickle spears. Now, Grav had been attracted by a menu of epic ratios -- and the one that best grabbed his attention was the chalkboard special of a 22 ounce Cowboy Steak for the bargain price of $15.95. After the salad of iceberg lettuce and tomato and blue cheese dressing and the cottony-soft brown bread served up with uber sweet honey butter, the monstrosity was delivered to the table -- a ribeye and rib combination that fell over the edge of the plate and dared Grav to consume its considerable span. It came with a baked potato the size of a shoe and a cursory bowl of vegetables, which provided a splash of color to complement the red of the steak's rareness. Me? I had gone conservative and chosen the $12 Lobster Stuffed Shrimp dish, which had been recommended to me. Eight fat butterflied shrimp were delivered with a hearty dollop of a homemade lobster dressing atop each -- in turn set upon a ramekin of buttered angel-hair pasta. They were served with a different potato offering -- this time, slices of potato that had been dipped in the steak seasoning and grilled alongside the meat -- and, strangely enough, a solitary biscuit that Hunter and I about got into a fight over. Alerted to the big camera Grav carried and then shot with same in his kitchen, Mike Skarda came out to speak with us as we dined. He shared bits of the tale of how Dondie's came to be in his possession (a couple of frequent customers provided the extra color for the story later) and about his clientele. 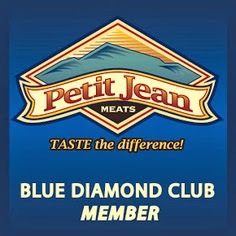 A full 80 percent of diners come from somewhere else -- including a bunch out of Mountain Home (three hours or more away!) 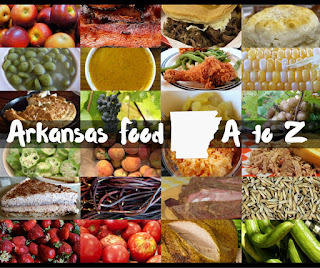 who make a regular trip down for Thursday night's dinner, overnight in Little Rock and shop there and then return home. Dondie's wouldn't survive without the folks that come from afar, and Mike is thankful. He's busy the other days of the week too -- in fact, he's the Prairie County judge! His daughter... well, bless her heart, she didn't go into the restaurant business after him. Instead, she headed to New Orleans and has become a sommalier (that's a fancy wine taster for you folks who didn't know). Son-in-law's a Scotch taster. Those are some fabulous family connections. 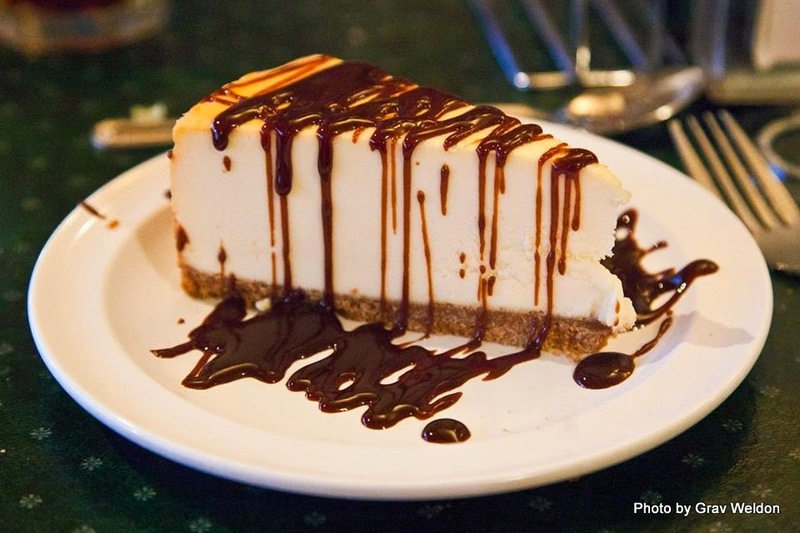 We had to stick around for dessert -- and while Grav had a New York Cheesecake covered in chocolate sauce, Hunter and I dived into the Hot Fudge Cake that Mike's wife had made. It was splendid -- light chocolate cake layers with ice cream in-between, covered in whipped cream and chocolate sauce and a cherry on top. You can also have yours with peanuts. 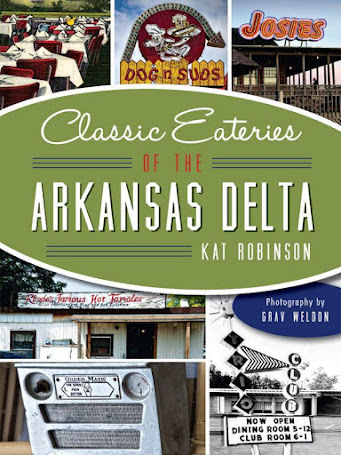 Dondie's isn't just right down the street from anything... but it is worth the drive out to Des Arc to get some good vittles at a reasonable cost. I've heard the 18 ounce Porterhouse is an experience, and I'm excited to try it next go-round. My suggestion is to go on a Thursday, because on Friday and Saturday nights a wait is almost a given. 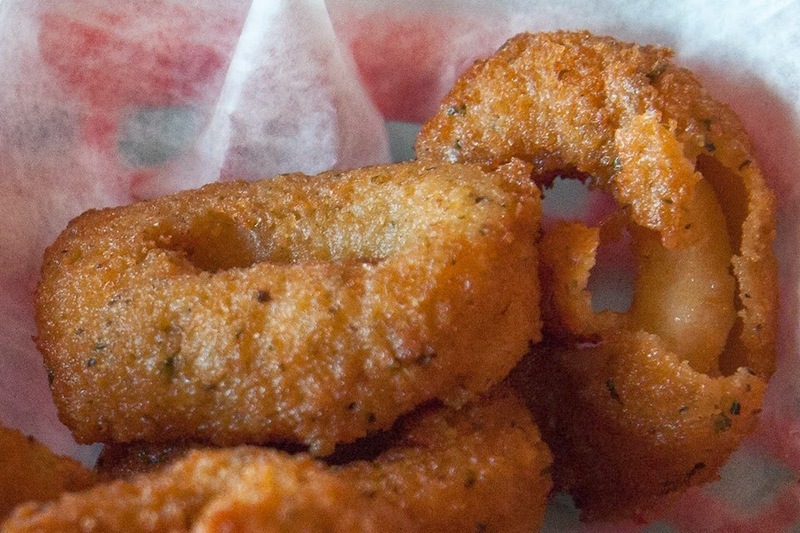 You can call the restaurant if you have any questions at (870) 256-3311 or go find it at the south end of the city's riverfront park -- and be sure to check for specials on the Facebook page. 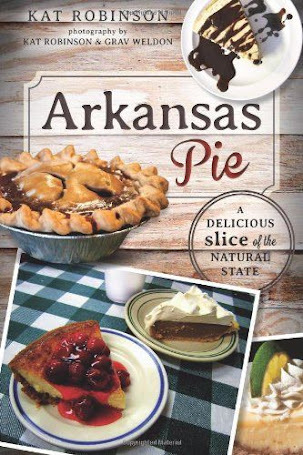 Did The Frito Chili Pie Come From Arkansas? 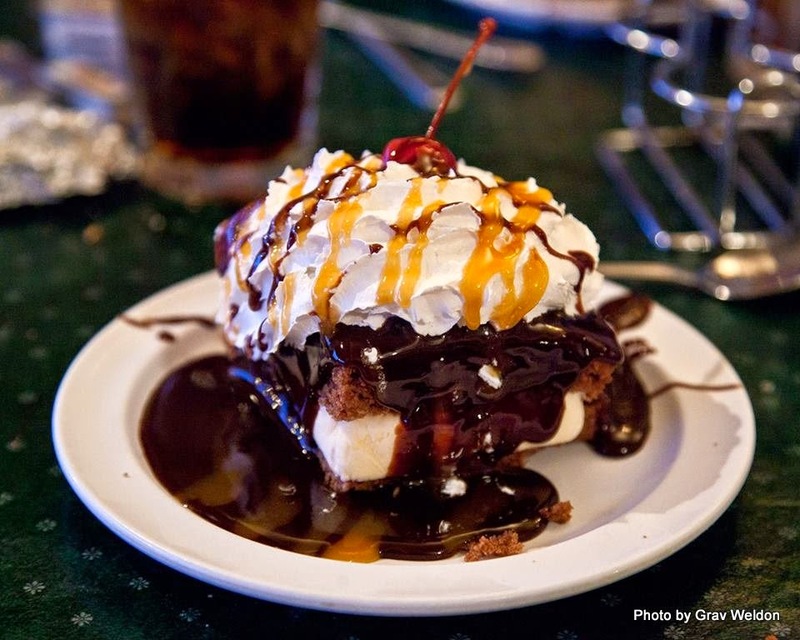 Seven Reasons to Spend A Weekend in Jasper.